How To Choosing The Best Power Tower For You. Power Towers are a great piece of in-home ﻿﻿worko﻿﻿ut equipment because they offer a diverse range of workouts, spanning several different muscle groups. Designed to utilize your own body weight to gain strength and burn fat, power towers don’t require a lot of add-on ﻿equipment and therefore make them an effective, cost-efficient, way to get in shape. Choosing the best power tower for you means taking several distinct factors into consideration, which we’ll go into now! Power towers typically enable you go target several different, major, muscle groups, including: your back, chest, arms, abdominal muscles, and waist. Another unique advantage of a power tower is it utilizes your own body weight, which means that your entire body, either directly or indirectly, is being used in the workout. This is the most efficient way to get your heart rate up and workout your entire body while you are targeting a specific muscle group in your workout. Power towers also help avoid injury because they are designed around natural body movements and they focus on increasing repetition to gain strength, rather than increasing weight. Their compact design and functionality also make them attractive for in-home workouts because they don’t take up too much space and you’re able to work out your entire body with a single piece of equipment. The upfront cost of a power tower might be greater than your monthly gym membership but, over time, a body tower is a great way to save money and you also get the added benefit of having your gym right inside your home. If body weight exercises seem intimidating to you, many people choose to buy support bands for power towers to lighten your body weight and assist with the workouts. As you grow stronger, you can use bands with less tension until you’re eventually able to do the full workouts without and additional support! Power towers vary in price dramatically, from under $100 to more than $500 but with that varying price comes the other factors to consider, such as the power tower’s design, quality, and functionality. There are typically two designs for power towers: one where the power tower can go flush up against the wall because it has all the functions on one side of the equipment and the other, which takes up more space, because it will have half the functions on one side of the power tower and the other half on the opposite side. The latter design is typically to help balance a cheaper power tower. When it comes to functionality, you’re typically going to find that most all power towers deliver four core workouts: pullups for your back and arms; dips for your arms, shoulders, and chest; pushups for your chest, arms, and core; knee or leg raises for your abdominal muscles, waist, and lower back. When you get into more expensive power towers, additional functionality comes in to play in many creative ways, such as with straps and clip-on handlebars. Quality varies with power towers as much as the price. Though, you can find a quality power tower at a lower price point, it just might be lacking in some functionality, hopefully still having the core four functions we talked about earlier. The largest factor to consider, when it comes to quality, is making sure to read reviews, such as this one, to find which have reputations for being shaky or wobbly when you workout. If a piece of equipment isn’t stable, then its usefulness dramatically decreases and it can even become dangerous. This is the largest variable I’ve found when it comes to the quality of a power tower and its design and should be considered carefully before buying. If you buy a power tower and you need to increase its stability, it is common to add weight to the base of the equipment to give it more support. At most gyms, they are screwed into the ground, permanently locked in place. These factors – the price, design, functionality, quality, and more – are taken into consideration in these reviews of the top selling power towers on the market! Though these are highly bought and popular power towers, the reviews reflect the overall consideration of all these factors, to help you choose the best power tower for you! 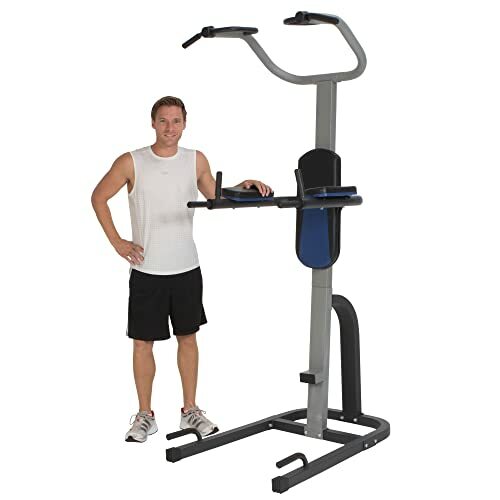 The Stamina 1690 Power Tower is attractive for the price and might be a good, temporary, solution for getting in shape because it offers three of the four main components of any power tower. It has a pullup bar across the top, handles for dips, and lower handles for pushups as well. There is also an additional bar at the bottom to tuck your feet under for sit-ups. The downside to this power tower is it lacks the vertical knee raise component and isn’t very stable and supportive during the workout, which, in my mind, is necessary. If you’re looking for just a couple of functions at a low price, this might be a good option but it might need weight added for stability. 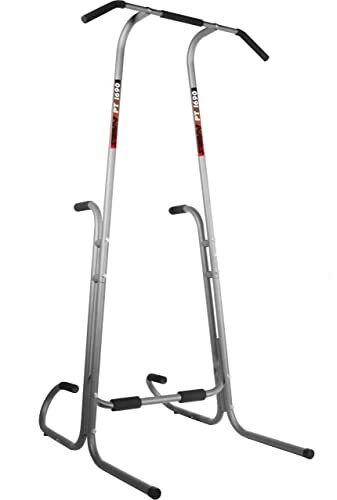 The Weider Power Tower is a popular choice for its high functionality and attractive price but there have been many reports of inconsistent manufacturing. This power tower seems to offer the best combination of price, quality, and functionality and has many happy customers but it’s rating it tarnished by the disappointment of many who have had missing pieces and poor manufacturing for their Weider Power Tower. If you’re going to base your decision on mainstream popularity, this could be the best power tower for you, just be weary of inconsistent quality. Within this price range, I would consider the Body Champ Power Tower to be the most reliable option to fulfill the typical requirements of a power tower. It has some of the usual shortcomings with some components facing the opposite direction, increasing the need for space, and having some wobbling and shakiness, but, in this price range, it seems to offer the highest quality and delivers all the traditional needs of a power tower. If you’re looking to stay within this price range, the Body Champ Power Tower might be the best option for you. If you’re looking for a power tower which is more stable and less wobbly and seems to have a higher quality construction, the ProGear 275 Weight Capacity Power Tower will be a good fit. It is a little more expensive than other options but it’s space-saving design and higher quality might be worth the extra money. Something to keep in mind, if you need a support band for pullups and dips, this power tower doesn’t have a single bar for pullups but two separate pieces at the top and so this makes the support band off-centered. If you can afford the increased price, this power tower is a great option because it has all the core functionality you hope for, has the ideal design, and much greater stability. The Bowflex Body Tower is impressive, with its adjustability and additional features, making this power tower a lot more dynamic than others on the market. It’s price point is higher but it is also of higher quality than a lot of other options and has the ideal, space-saving, design. 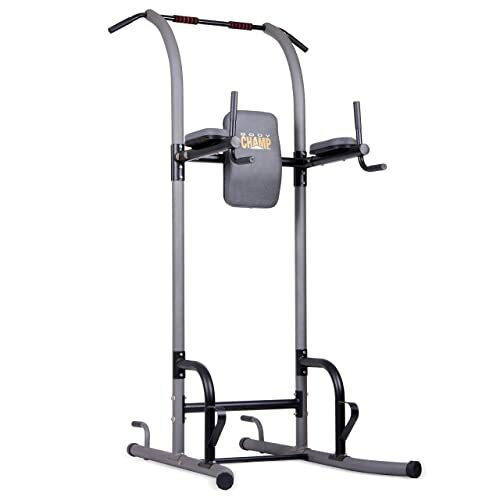 The Bowflex Body Tower also has adjustable arms and bars to facilitate a broader range of exercises and a more comfortable experience. 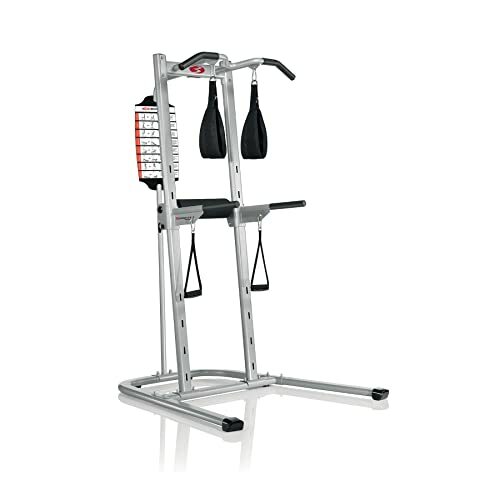 I highly recommend the Bowflex Body Tower for its functionality, adjustability, and quality. These power towers cover a broad spectrum of price, quality, functionality, and design and I truly believe that each of these power towers fit the needs of a specific customer, depending upon what they are looking for. Power towers in general are a great investment for your in-home gym and offer you a great workout in several dynamic and comprehensive ways. Investing in quality ﻿﻿﻿machin﻿ery is always the best long-term solution and hopefully these reviews will help you find the best value within your price range. 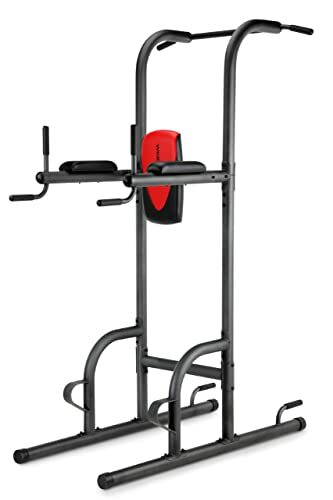 There is a power tower for everybody and it is a cornerstone piece for any in-home gym. Good luck with choosing the best power tower for you.